According to the Industry Analytics Report, hadoop professionals get 250% salary hike. Java developers have increased probability to get a strong salary hike when they shift to big data job roles. If you are a java developer, you might have already heard about the excitement revolving around big data hadoop. Most of your peers would have already made a career shift in big data hadoop to secure a consistent career path by gaining expertise in big data job skills. If you are also keen on getting into the big data bandwagon, read ahead to know why this is best time for Java professionals to learn Hadoop. 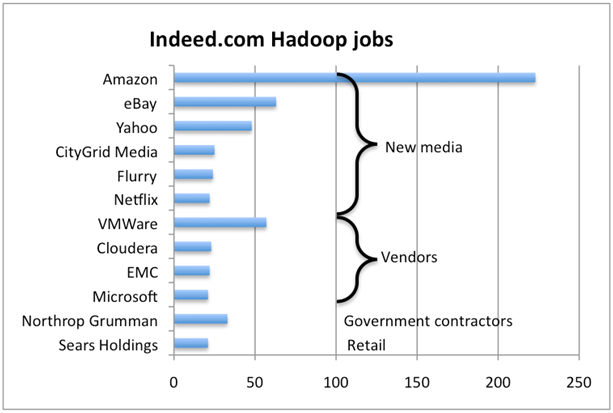 What salary hike are you expecting in your new Hadoop role? Having crossed the $50 billion mark, the Big Data segment of the IT industry has witnessed an exponential growth in the past few years. A survey of 720 worldwide clients conducted by Gartner in 2013 found that almost 64% were planning to invest heavily in Big Data Technology. Traditionally relational databases have proved ineffective in handling and processing the large and complex data generated by organizations across the globe. This has led to the rise of Apache Hadoop, a much more flexible, economical, faster and robust technology that can handle modern day Big Data with utmost efficacy. 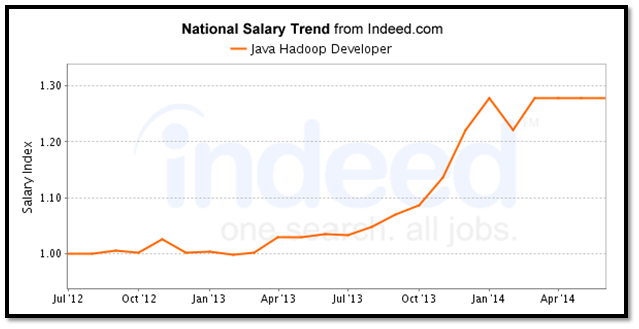 In the first quarter of 2016, there are about 204 Java Hadoop Developer jobs(in US), listed in Indeed.com. There are 132 Hadoop Java developer jobs currently open in London, as per cwjobs.co.uk and Dice.com has listed a total of 1532 open jobs for Hadoop Java developers. One fine trend to notice in all these job openings is that - the skills requirement for each of these jobs will list - Java, Hadoop MapReduce, Pig, Hive, etc. Since MapReduce programming is done in Java - it is obvious that any hadoop job opening that lists MapReduce as a skill requirement will automatically need Java as a skills requirement too. Java developers have a better chance of getting hired for this role. What Java libraries do you think are most relevant for Hadoop? This high level platform uses a language called Pig Latin that summarizes the programming from the Java MapReduce idiom, thus making the MapReduce programming high level like SQL that is used in traditional rational databases. 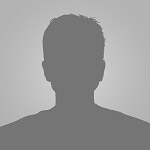 There is no dearth of developers who know Java, but then they are just a face in the crowd. A Java professional who learns Hadoop specializes himself to take on the challenges thrown up by Big Data. Learning Hadoop coupled with Big Data Analytics will make you stand out from the crowd.Businesses around the world are not using Hadoop because they want to. They have to shift to Hadoop as it makes the perfect business sense, and they keep hunting for Java developers that are skilled with Hadoop. The Apache frameworks provide high level abstractions like Pig and Hive. Pig Latin can be used for programming in Pig and HiveQL in Hive but both are ultimately transformed into MapReduce programs in Java. Although, developers can use streaming to write the map and reduce functions in their choice of languages, some advanced features of Hadoop are at present available only via Java API. A Java professional, having learnt Hadoop will find it easier to dig deeper into the Hadoop codes and he would be in a better position to understand the functionality of a particular module and this is where Java professionals gain an edge over other professionals. To help you understand how Java professionals find it easier to shift to Hadoop , let's take a look at the experience of a reddit user. Reddit User, gregw134 explains how he landed a job in a company that provides a popular Hadoop Distribution. gregw134 says that prior to joining as a Java Hadoop developer - he had 4 years of experience as a Java developer, and got the Hadoop job, because he had taken a 2 month Hadoop training course to learn the Hadoop ecosystem. He also states that it is not necessary to know every tool in Hadoop - because the demand for Hadoop developers is so high that you could get a call, simply based on your Java background and basic working knowledge of Hadoop. gregw134 has clearly outlined which kind of open job positions in Hadoop would be most suitable for a Java developer. He states that it is best to avoid Hadoop architect kind of roles, as that requires a lot of experience, and the recruiters would probably want someone who knows how to set up a complete Hadoop workflow or solutions that junior Hadoop developers can then implement. gregw134 was given the following assignment for his Hadoop interview. Setting up a cluster, importing data from relational database using Sqoop, ETL/data cleaning using Hive, and run SQL queries on the data. If you would like to read his complete hadoop interview experience, you can click here. gregw134 says that it will be a major drawback for you, if you do not have any coding experience because your interviewers will be from CS background and they will fire all sorts of coding questions at you. 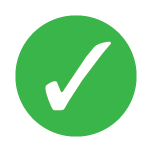 He advises, that your practice your coding algorithms and are well versed with the technology that your are currently working on. If it is Java - then you must know Java inside out. Besides this he advises you to know your Hadoop well. Whatever you have learnt, whichever Hadoop tool you are good at - you should be able to demonstrate that in your interview. Working on a few GitHub Hadoop Projects will not go amiss. You will find a lot of instances where Java developers have found it easier to shift to a Hadoop role. If you are already a Java developer - then you can take the next step to get into a Big Data career. The Big Data market is only set to grow exponentially in the coming years. 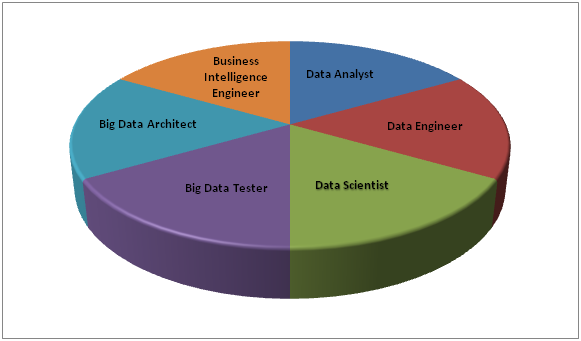 Big Data related technology like Hadoop, Apache Spark, etc. will pretty soon demand skilled talent to fill up the open job positions. 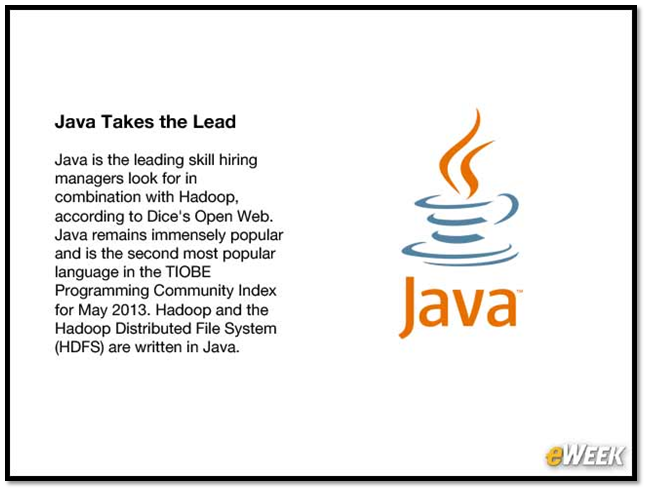 It is obvious that recruiters will first look at Java developers who know Hadoop - to fill up these positions. 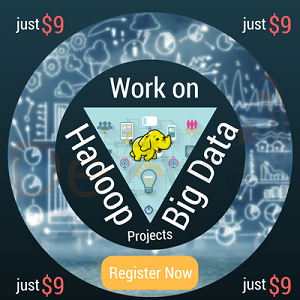 Big Data Hadoop Training and Certification activated with a free Java Course! While Big Data has opened the floodgates of new job opportunities, software professionals working on various traditional technologies and Java Professionals are making a major career shift by opting to learn Hadoop technologies. According to the Big Data Executive Survey 2013, almost 90% organizations have embarked on Hadoop related projects and thus Hadoop skills are in huge demand. Besides accelerated career graph Java professionals who learn Hadoop can look forward to better packages than other technologies like UNIX, Teradata, SAP, VB, C++ or just as a Java professional. The fact that nine out of the top ten highest paying IT salaries are for programming languages, databases and Big Data skills. Tech salaries witnessed a rise of 3% and IT professionals with skills in Big Data related languages were amongst the highest salary earners. As of May 3, 2016, a Java Hadoop developer is likely to earn an average salary of $150,000 annually. A Senior Hadoop developer in the New York area can average up to $180,000 annually. Having skills - both Java and Hadoop will comfortably land you in the $110,000 pay bracket. Over the years the Internet has been the biggest driver of data and the new information generated in 2012 stood at 2500 Exabyte. The digital world grew by 62% last year to 800K petabytes and will continue to grow to the tune of 1.2 zeta bytes during the current year. Gartner estimates the market of Hadoop Ecosystem to $77 million and predicts it will reach the $813 million mark by 2016. A survey of LinkedIn profiles mentioning Hadoop as their skills revealed that there are almost 17000 people working in Companies like Cisco, HP, TCS, Oracle, Amazon, Yahoo and Facebook, etc. Apart from this Java professional who learn Hadoop can start their careers with many startup companies like Platfora, Alpine data labs, Trifacta, Datatorrent etc. That's not all, other than Tech Company Hadoop technology is being used by the Railway and trucking companies for various purposes like Maintainance Logs, combining GPS data with weather data for safety purposes, calculating distances between trains, visual acoustic sensors in brakes, rails, switches and other hardware. Hadoop is also employed in traffic management like to ascertain car speeds, acceleration and deceleration, weather conditions, etc. In a nutshell, Java professionals opting to learn Hadoop can look forward to work with the dream organization of their choice! Become an IBM Certified Big Data Java Developer! Q: What salary hike are you expecting in your new Hadoop role? Q: What Java libraries do you think are most relevant for Hadoop?